Well it's time for a new challenge over at Stamping with the Dragon. Theme for this fortnight is Easter. 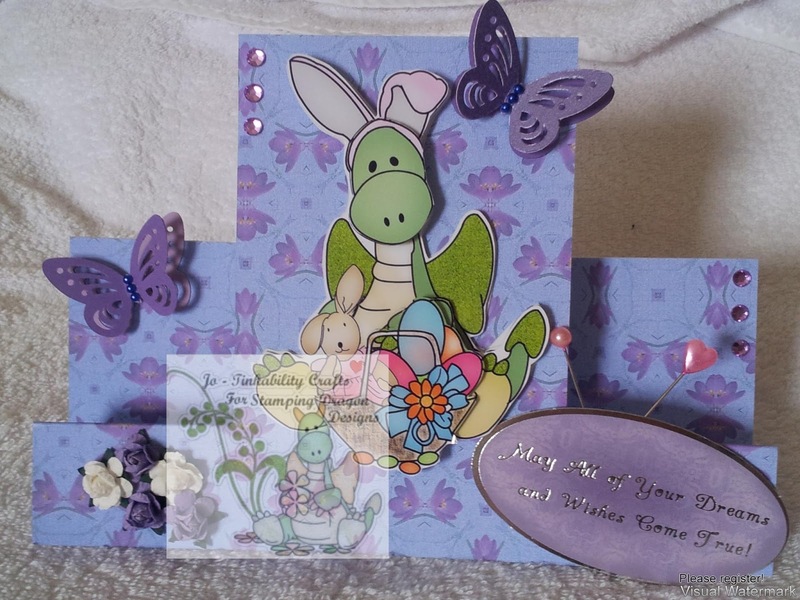 I have used a stepper card blank and covered it with Spring Fever Papers , i then used Jiggy's Easter Coloured, added a sentiment, flowers, butterflies, hat pins and gems out of my stash. Gorgeous card Jo, love the image and the fabulous colours you have chosen.